After a male moose reaches one year of age he starts to grow antlers that increase in size for each new set of antlers he grows until he reaches his prime (between 6-11 years of age). 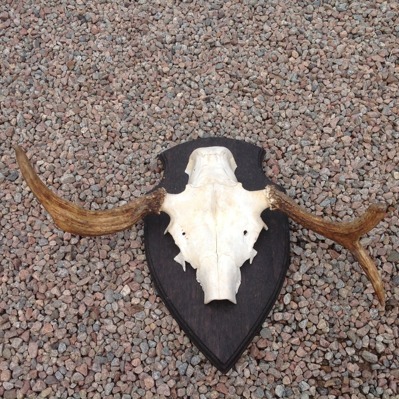 Here you find some examples of small moose antlers in our collection. They belonged to young moose bulls. 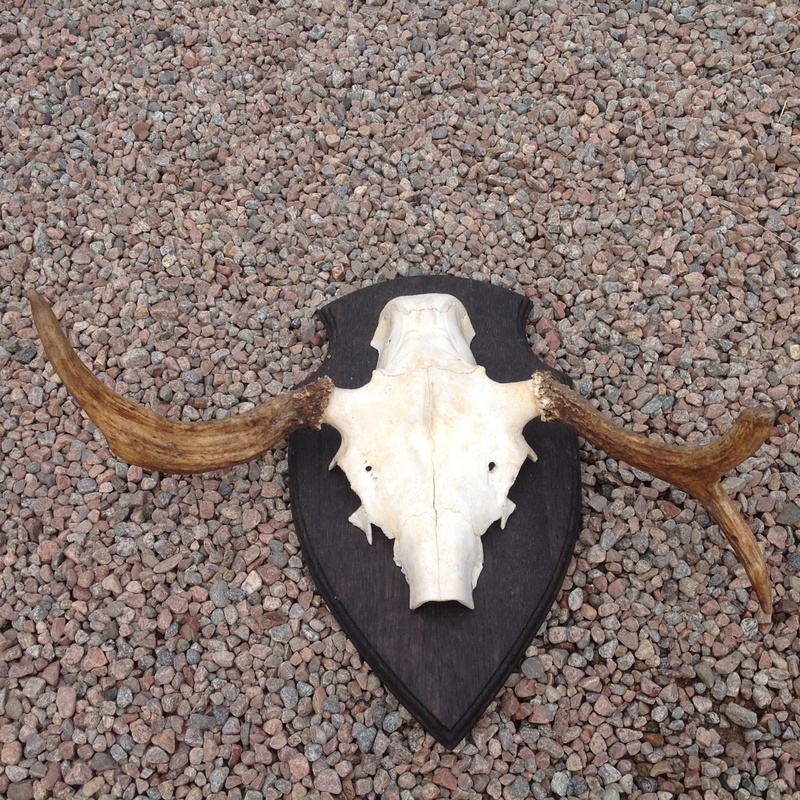 They are cheaper than larger antlers and might fit one that has not too much space. Get in touch with us and tell us which pair of antlers you would like to order. The easiest way is to send us an email message. All antlers carry a unique male name. You find additional information about the antlers in the text blocks next to the photo's. 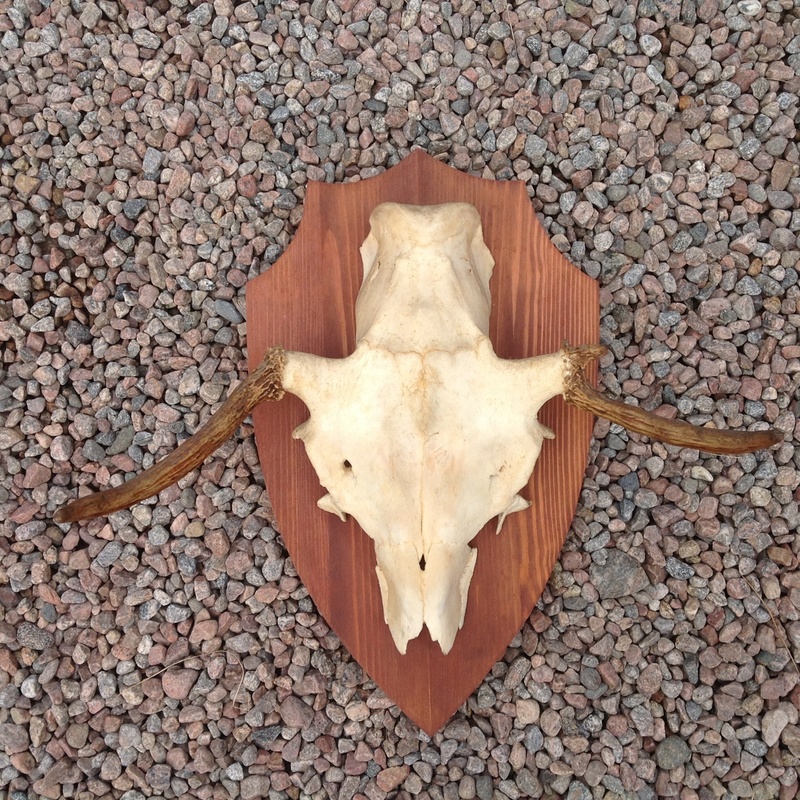 Due to the odd size of moose antlers it's hard to say what it would cost to send it to your home. That's why we contact every customer to find an individual solution to keep transport costs as low as possible. 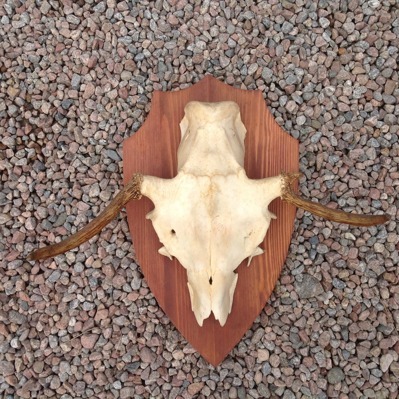 Picking up your antlers in our shop is always possible.